AF is The Cutting Edge meets Dancing with the Stars. Shane and Sutton come from two completely different worlds, but when fate throws them together, they find they have more in common than they could ever imagine. Both competitive, stubborn, and strong, they clash again and again in a sweet, funny dance that leaves them breathless. Can they come together long enough to win the competition? Can they work together without killing each other? Can they outrun the feelings brewing between them? Each book in the Offensive Line series is a standalone, so if you haven't read any of the other books, don't worry. You can jump in with Alpha Foxtrot. And it's the perfect time to do it. AF will be on sale for only $.99 for a limited time to celebrate it's release. If you have Kindle Unlimited, you can start reading it right now for FREE! Broken Play has gone live and it's only $0.99! Each book in the Offensive Line series is a standalone, so whether you're new to the series or you've been with the Kodiaks since Rookie Mistake, you won't want to miss the newest installment. It's painful and endearing. Funny and heartbreaking. Tyus and Mila are two broken pieces struggling to be whole. When they finally come together, they may not be perfect, but they are beautiful, and their journey will stay with you long after the last page. So, settle in, grab a blanket and your coffee, and get ready to fall in love with the men of the Los Angeles Kodiaks. Weapons of War is LIVE! Weapons of War (Rising #2) is live and for a limited time, both books in the series are only $0.99. It’s easier said than done. New threats are rising with the zombies and the peace the survivors have struggled to build is crumbling around them. A war is on the horizon. It calls them to action, whether they want to hear it or not. Visit my author page on Facebook to enter a giveaway for a signed paperback copy of Weapons of War. POWERLESS, the final book in the Bird of Stone series, is LIVE and only $.99! My name is Max Campbell and I do not have a superpower. I don't need one. I have a genius level IQ, nerves of steel, and great hair. I've been trained to be a healer and a killer by some of the most elite soldiers in the world, and I excel at the task. No tricks. No cheat codes. Just me. Pure, unaltered, awesome me. Would it be cool to be able to walk through walls or fly faster than a fart? Hell yes, of course it would, but then I'd owe something to the madman who made me, and I don't write Thank You cards. Those two words have always come hard for me, though never as hard as the one I'm choking on now. SLEEPLESS, book #1 in the series, is FREE for a limited time. FEARLESS, book #2, is only $.99. 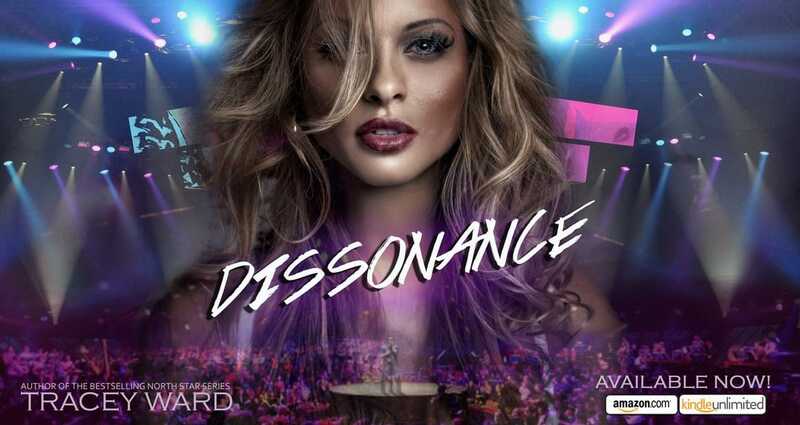 Dissonance is a standalone New Adult/Contemporary Romance. All they wanted was each other. Greer Madsen had a rough childhood. With an absent father and a careless mother, she was alone in the world from the moment she was born. But when her mom left for good, she wasn't just alone. She was homeless. Penniless. But never hopeless. Greer has clung to hope like a lifeline, letting it pull her through the darkest moments of her life until here she stands; under the bright lights of Broadway. Filled with raw, natural talent, she's making her mark on enraptured audiences. On famous directors. Jace Ryker is one scandal away from losing everything. Terminally late with his newest album and floundering to find his sound, he's feeling frustrated and lost. When an onstage mishap brings his entire tour to a staggering halt, he's forced to stop and take stock of his life and career, asking himself what he really wants in life. It's a simple question without an easy answer. I've got my holiday sale and freebie schedule planned out and I'm sharing it with you guys now! I'll be posting to Twitter and Facebook as the deals happen, but I wanted to make the entire schedule available to everyone ahead of time in case there's a book you've been waiting for. Practically everything is going on sale at some point, so hopefully you all find something to love. Feel free to share this schedule and Happy Holidays! 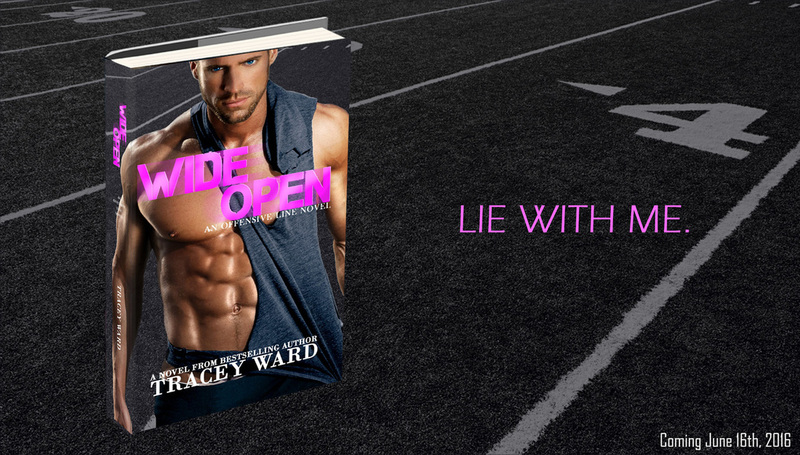 Wide Open, the third book in the Offensive Line series, is LIVE! Today was supposed to be Wide Open's release date, but because I didn't feel like the story was ready yet and I never want to give you guys something less than everything I've got, I pushed the date back. But today, on it's original release date, I'm announcing the updated publication date and giving you the first three chapters of the story! I hope you enjoy them and are looking forward to Kurtis and Harper's story. Rookie Mistake, the first of five Offensive Line novels, is LIVE! 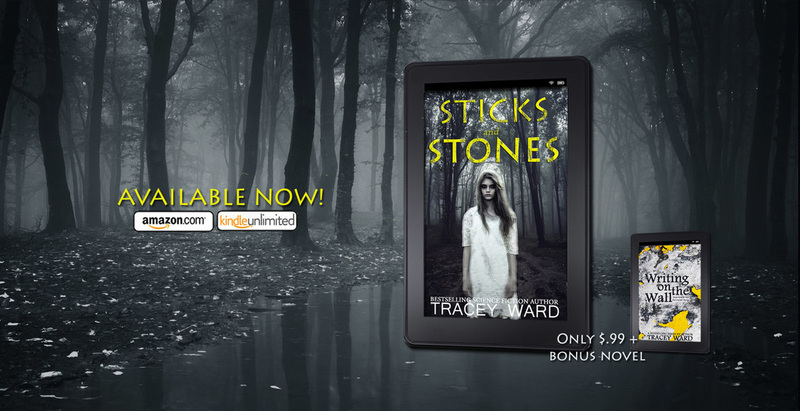 Get it now for only $.99 or FREE on KU. Rookie Mistake is the start of a romantic comedy series built of five standalone novels centering on different members of the fictional Los Angeles Kodiaks pro football team. Trey Domata is the next big thing in football. A quarterback with a cool head, smoldering eyes, and a cannon for an arm, he's collected awards, trophies, and hearts across the country. He's on every girl's mind. Every coach's dream sheet. Every agent's wishlist. Sloane grew up at her father's side in the Ashford Agency. He built the company from the ground up, representing some of the biggest names in sports, and now Sloane is determined to find her place among its top agents. She's got the knowledge, she's got the drive, and if she can land Trey, she knows she's got her 'in'. But it's hard to keep your eyes on the prize when the sweetest, sexiest smile you've ever seen is constantly on your mind. When the hottest hands in the nation are in your hair. When you're whispering the name that thousands of fans are screaming at the top of their lungs. Sleeping with a client is a mistake, but falling in love with him? That's some rookie sh#t right there. Be sure to watch my Facebook page. I've got a new book going free every day this week and I'll be announcing them over on FB.